Mahjong tile bracelets can be purchased through Homegirl for $20 (plus shipping). All proceeds are given to help a small village in Uganda, Africa called Namyoya. They are made by Joanne Weaver of Naperville, IL (Beads of Change) who I met this summer at the Coutry Living Fair. If you would like to learn more about the village, you can visit, lukegeneafrica.blogspot.com. They can make such a cool present for someone (or yourself) and I have 6, that have great sayings. "In a world where you can be anything, be yourself". "Remember: Peace still works. Love is the answer. Follow your heart." "Look at life with joy." "The best accesory a girl can have is a friend." "Always act like you are wearing an invisible crown." 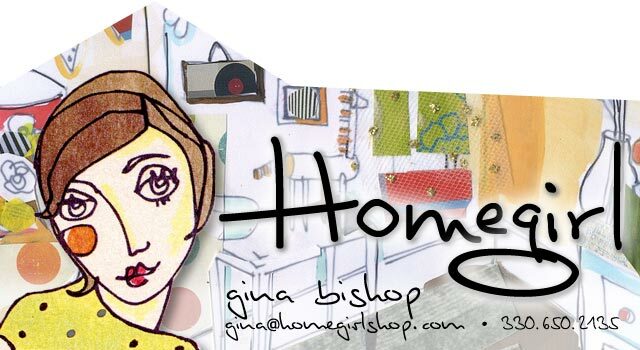 If you are interested, please email gina@homegirlshop.com or call at 330-650-2135.